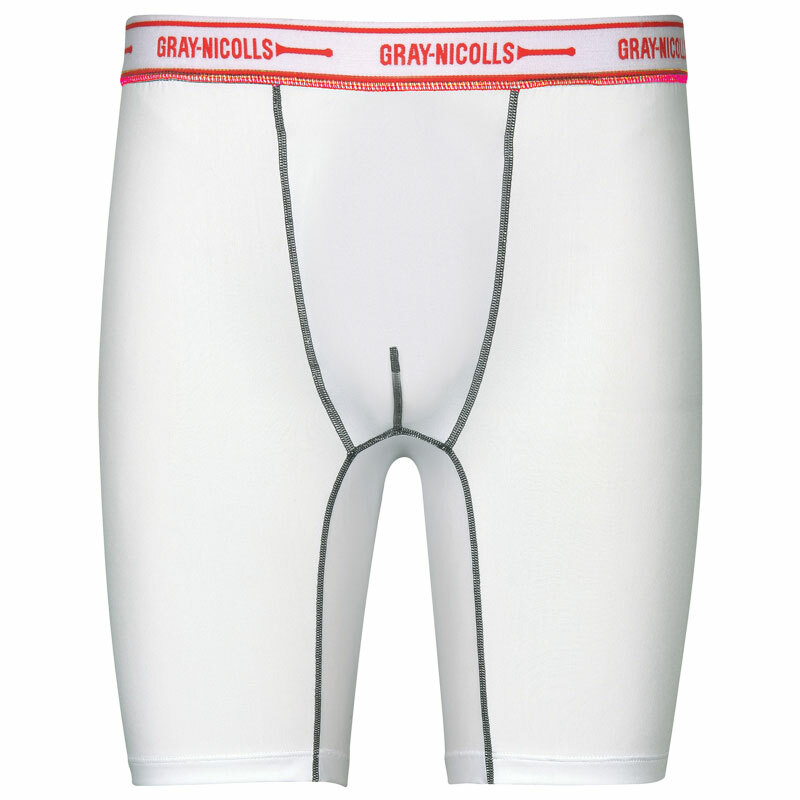 The Gray Nicolls Velocity Jock Shorts are made to provide first class performance and comfort in all conditions. Compression fit, wears like a second skin for all day long comfort and support. Wicking fabrics draw perspiration away from the skin through the material. Moisture controlling materials and ventilation zones to improve comfort. Integral pouch for fitting abdo guard. Our ranges are designed with a layering in mind. If you buy a jacket for your body size you can be sure you will be able to fir a top and a light sweater underneath. All measurements are an approximate guide. * Approx inside leg measurement on unfinished trousers. Approximate measurement from instep to middle of knee role. Approximate measurement around the palm of the hand. *Approximate measurement around the head.